Join the revolution of Aerial Combat! Get in the cockpits of your favorite combat aircraft and engage in supersonic battles on an epic scale. Experience war zones in photo-realistic detail! Prove your supremacy globally in multi-player online modes! 02-08-2017 Box Text ABSOLUTE AERIAL SUPREMACY Join the revolution of Aerial Combat! 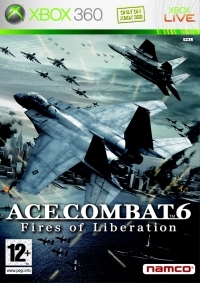 Get in the cockpits of your favorite combat aircraft and engage in supersonic battles on an epic scale. Experience war zones in photo-realistic detail! Prove your supremacy globally in multi-player online modes! Choose your tactical path in a massive scale, living battlefield! Command aerial, naval, and ground combat units! Pilot authentic licensed combat aircraft! Experience the intense drama of the battlefield!